The Haojue DR300 (aka Suzuki GSX-S300) has been unveiled at the Chongqing Mobo Fair 2018 in China. Haojue Motorcycles is Suzuki’s Chinese partner and manufactures a range of small-displacement Suzuki motorcycles. 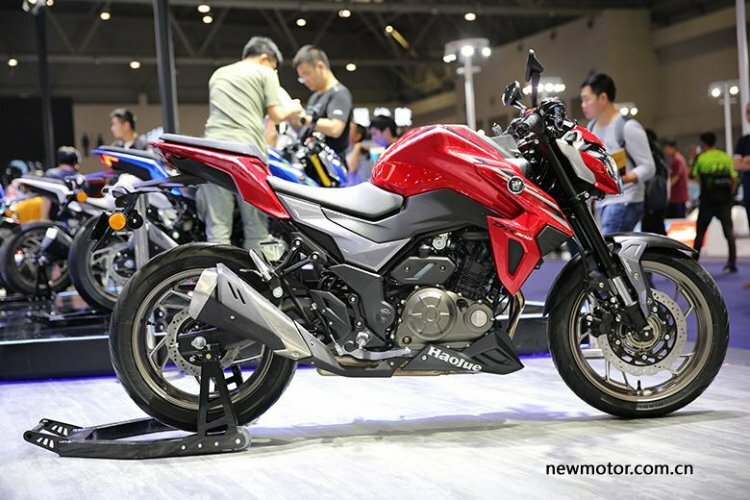 According to Newmotor, the Haojue DR300 (aka Suzuki GSX-S300) uses an all-new 298 cc, parallel twin-cylinder, four-valve, liquid-cooled engine that is mated to a 6-speed transmission. The engine is reportedly developed independently by Haojue. The company hasn’t revealed the power and torque figures of the DR300. The design of the Haojue DR300 is modern and inspired from the Suzuki GSX-S1000. The styling of the production-spec model stays true to the patent images that were leaked in April 2018. The motorcycle features an all-LED headlamp with LED DRLs, fully-digital instrument cluster, sculpted fuel tank with extended tank shrouds, a raised tail section, split seats, up-swept exhaust canister and LED taillights. Suspension duty is carried out by USD front forks and an adjustable mono-shock at the back. The motorcycle features 10-spoke 17-inch alloy wheels shod with 110/70-section and 140/60-section Pirelli Diablo Rosso III tubeless tyres at front and rear respectively. The Haojue DR300 measures 2,055 mm in length, 720 mm in width and 1,050 mm in height, while it has a wheelbase of 1,420 mm. The bike tips the scales at 177 kg. Braking is courtesy of a 298 mm petal disc at the front and a smaller rotor at the rear. Dual-channel ABS will be standard. The Haojue DR300 is a China-specific product with little relevance to the Indian two-wheeler market. The Haojue DR300 is a China-spec motorcycle that is not relevant to India. That said, Suzuki Motorcycle India is reportedly working on an India-spec Suzuki Gixxer 250 for the domestic market. 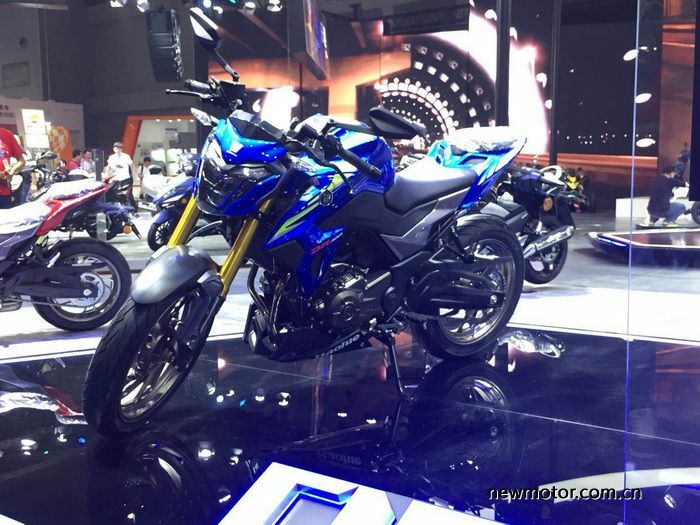 The new model will rival the Yamaha FZ25 and the KTM 250 Duke. 2019 Suzuki GSX-S300 to be based on Haojue HJ300-A?